I am completely obsessed with the new “It” bag for summer. 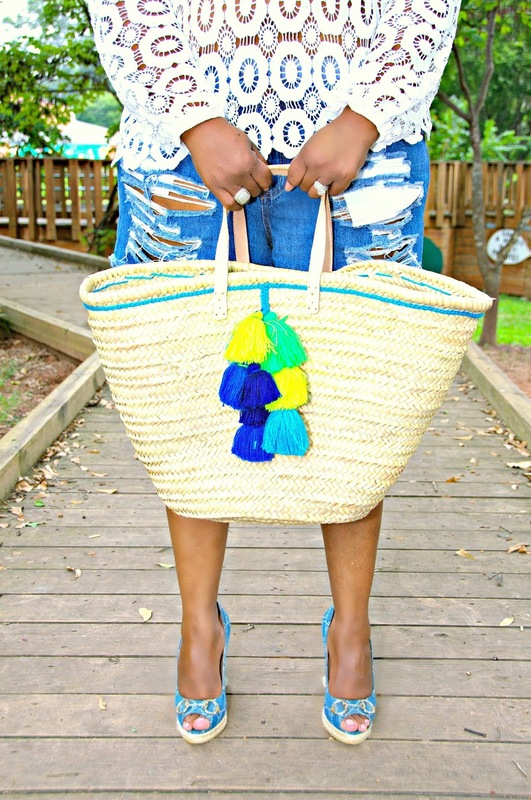 I just can’t get enough of raffia and straw bags. So I’m giving you a fair warning: don’t be surprised if you see me only carrying straw bags during the impending hot days ahead. The straw “beach bag” is no longer just for playing in the sand and surf. They give ANY look a cool casual feel thus making them a newfound closet staple. Pair your pom pom adorned raffia bag with denim or a playful yet well-structured carryall with your favorite flirty casual Friday frock. And hey, depending on it’s intricate details, a straw bag can be the perfect accoutrement to your most elegant evening dress. Yep, straw bags have transcended the boardwalk and can easily translate to everyday fashion and style. Below are a few of my favorites ranging in price from $30 to $800.